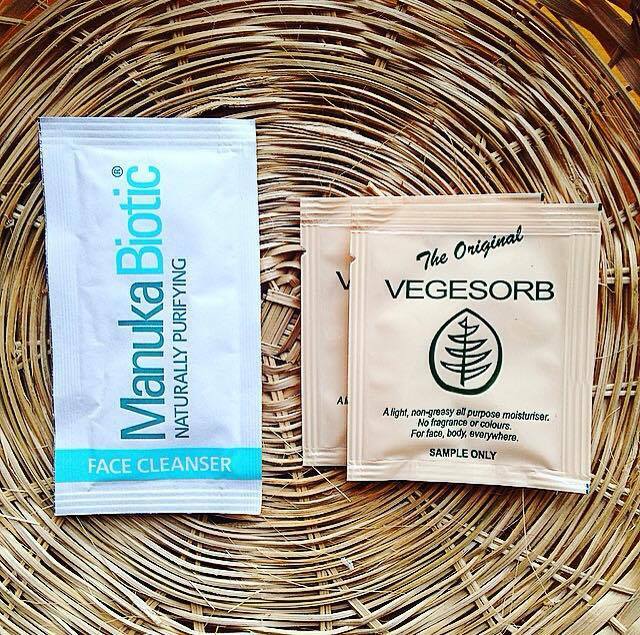 It's no secret that I am completely obsessed with skincare and green beauty products. Over the years, I have spent so much money on products that haven't worked on my skin, hair or body. I love when I have the ability to try a sample of a product first, so I can get some idea of if it works for me. 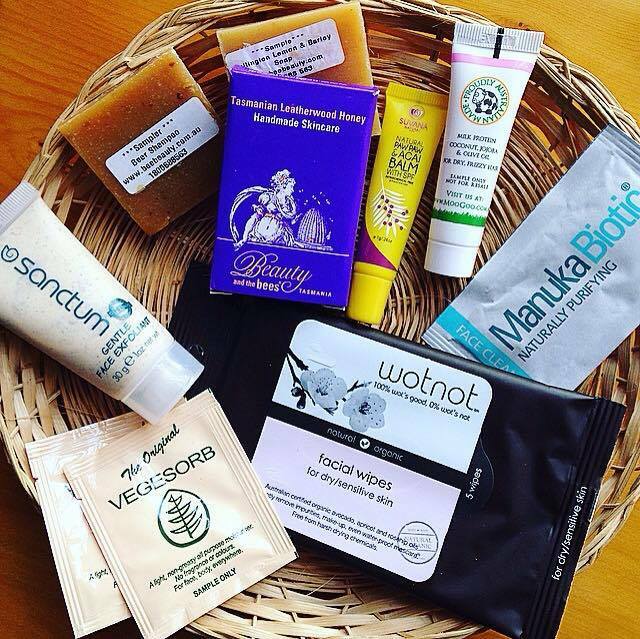 Sample subscription boxes are great for this reason as you get to try new brands and products that you have been interested in without the commitment of buying a full-size product. They also help you discover great natural brands that you haven't been exposed to before. 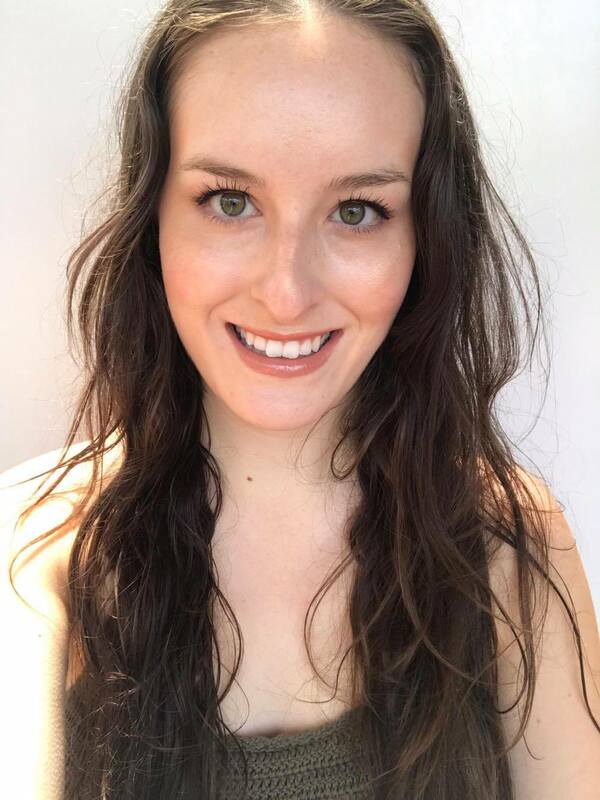 I was so excited when I got approached by Good Green Box to try out their very first beauty box and review it for you guys! Good Green Box are a brand new Australian monthly subscription box dedicated to natural, organic and non-toxic skincare and beauty products. 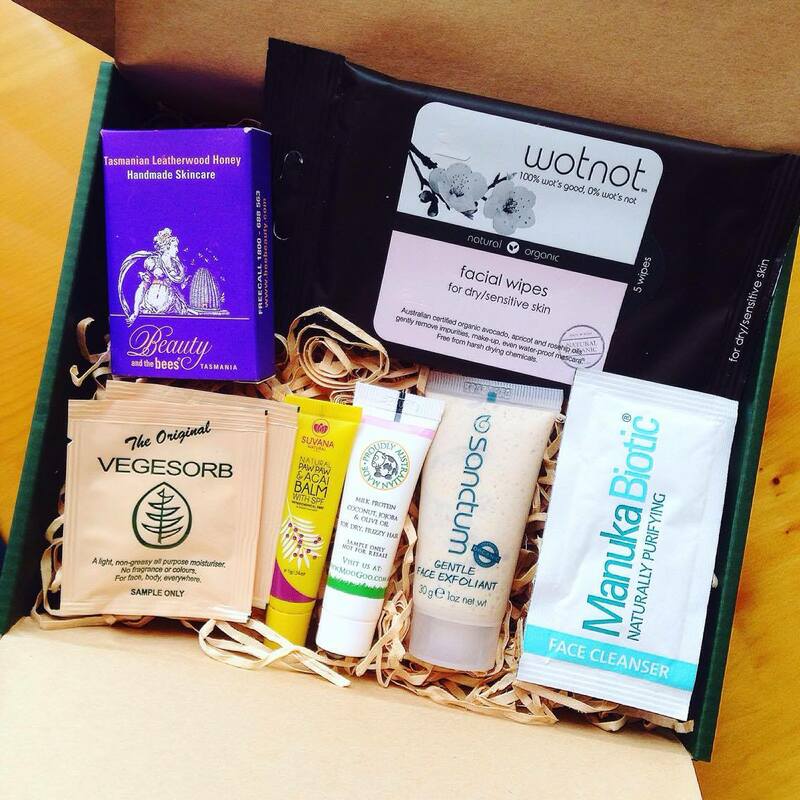 Good Green Box comes as a cute green box filled with 5-10 beauty, skin, hair and nail care samples for you to try out. I love that the box includes a couple of generous discounts to natural brands. This month includes a 30% discount off Sanctum products and 20% off Boody. It also contains a card listing each of the products included in the box and their ingredients. Good Green Box has three different subscription options: $25 for a month-to-month subscription, $21.67 for a 3 month subscription, or $18.33 for a 6 month subscription. Shipping is free within Australia. I thought that I would give my first impressions on each of the products featured in this months box. Keep reading if you are interested in my thoughts! I was super excited to see that the box included a box of these wipes. I have used these wipes in the past (a couple of years ago), when I was bedridden in hospital for a week. 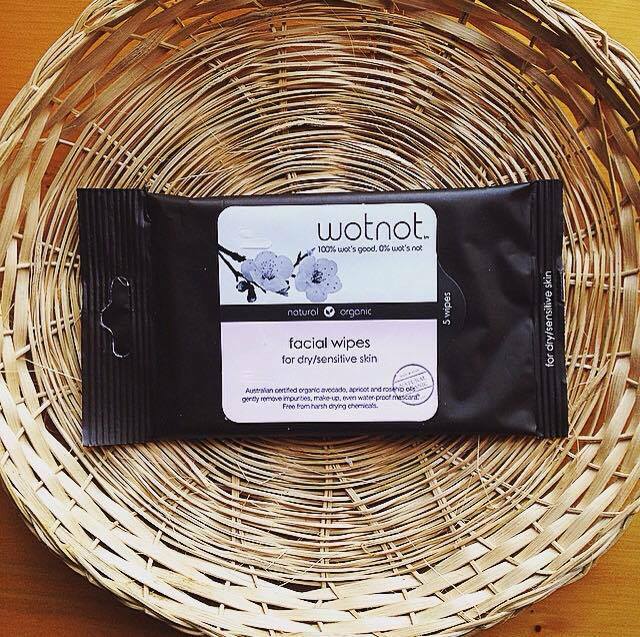 These wipes helped keep me sane as I couldn't physically get up to wash my face with water. They are perfect for my dry, acne-prone skin and remove all traces of makeup, while hydrating my skin. 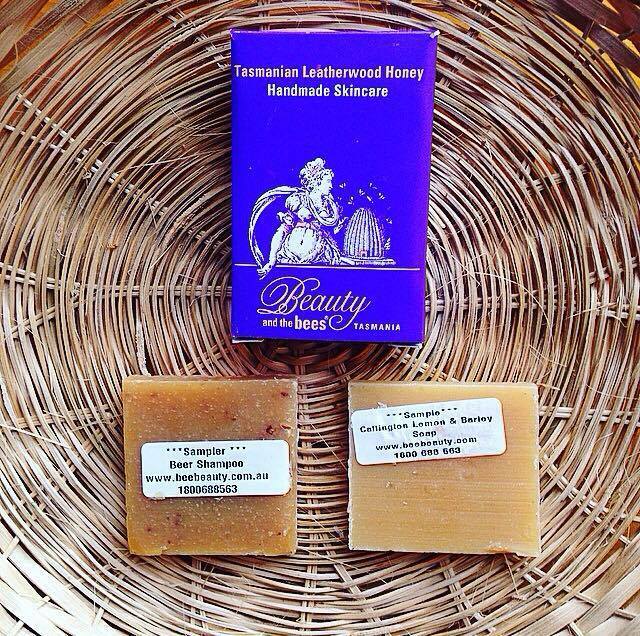 They are 100% natural, and free from sulphates, petrochemicals, parabens, artificial preservatives and fragrances. I will save these wipes for my next camping trip. They are the perfect option when you have limited access to running water, and can't use a wash-off cleanser! This is a foaming cleanser that produces a great amount of foam for a natural brand. It is designed for those suffering with acne. I suffer from acne, however I found this cleanser a tad too drying for my dry skin. It would be great for those with oily acne-prone skin. It smells of tea tree, and contains kanuka oil, green tea extract, witch hazel extract and glycerine. I have seen vegesorb in the health food stores I frequent for several years. I have been curious about it as an alternative to the petrochemical laden sorbolene my family have used for a long time. I love the versatility of this! It can be used on your face, hands and body. I appreciate the fragrance free formula as I can get overwhelmed with the competing fragrances of all of my green beauty products. It is super nourishing and hydrating, but not greasy, and quickly is absorbed. This is a likely purchase for me in the future. I love Beauty and the Bees! They are a company made in Tasmania, Australia, where I live. I have used the Beer Shampoo in the past and loved it. It has an intoxicating scent which I can't quite put my finger on. Shampoo bars are a unique product that you must try! You simply hold the bar in your hand and rub into the roots of your hair. It lathers up beautifully and washes out easily leaving your hair soft and healthy. The soap bar has a light sweet lemon scent and suds up as much as a regular soap. It cleans my skin really well and hydrates at the same time. I have been a fan of anything Moogoo for years now, but hadn't had the opportunity to try this leave in treatment until now. It contains olive oil, milk protein, coconut oil, jojoba oil and other goodies to penetrate hair and leave it nourished and healthy. I really like this conditioner. I used it on dry hair, and have yet to apply it to damp hair, but I love the way it reduces the fluffiness and dryness of my hair without weighing it down (I have fine hair). It makes my hair feel hydrated and smooth. I think I'm going to have to get the full-size of this one! This exfoliant is 100% naturally derived, 79% certified organic and completely affordable. I have not used physical exfoliants for a while as I have been using acids with great results), however I loved trialling this one out. This one is deliciously creamy and contains loofah, crushed walnut, shell and rice bran to exfoliate. Always remember when you are exfoliating to be gentle with your skin. You should be gentling 'rolling' the product across your skin, not trying to scrub your skin off. This beauty is also suitable for the body in my opinion and can be used up to twice a week. It makes me cringe when I see so many girls using and promoting the cult favourite red paw paw brand filled with only a tiny amount of actual paw paw, and lots of petroleum. You know the one. 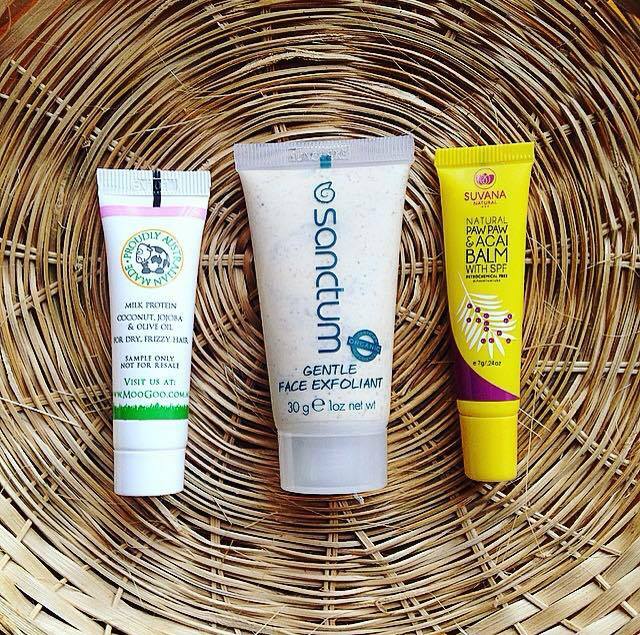 I love that Suvana is a natural alternative to that balm! This is a generous sample that will last a long time (as all lip products do!). It leaves the lips with a beautiful shine and nicely hydrated. There isn't much sun about at the moment in Tasmania, so I am going to save this for when the weathers fines up a bit.